28.5.2010 Petrovice, church of st. Nicholas - "night of the churches"
20.4.2010 Děčín chateau, vernissage "Kde pohádky končí"
2.2.2010 Děčín chateau, vernisssage "Nálezy ze staré věže"
26.3. 2006 Decin castle - "Io canterei d'Amor"
18.12. 2005, Ceska Kamenice - "Invitation to a Christmas crib"
11.12. 2005, Horni Police castle - "Invitation to a Christmas crib"
4.12. 2005, Decin castle - "Invitation to a Christmas crib"
21.7. 2005 Mr. Cely delivered to me a longed-for and brand new bass viol. 9.7.-17.7. 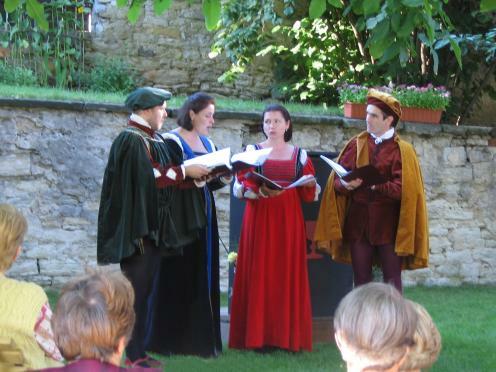 2005 we spent a week at the Valtice summer school of early music in Poppy Holden's singing class. 19.6. 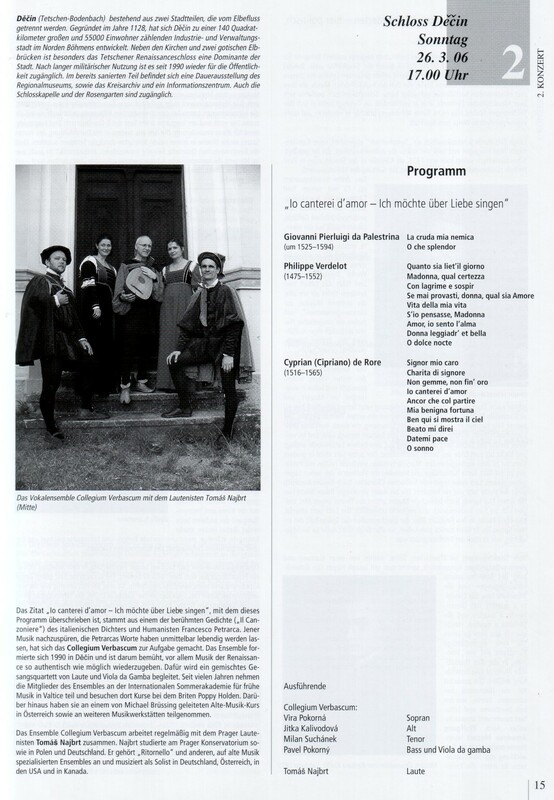 2005 Varnsdorf - "Io canterei d'amor"
13.6. 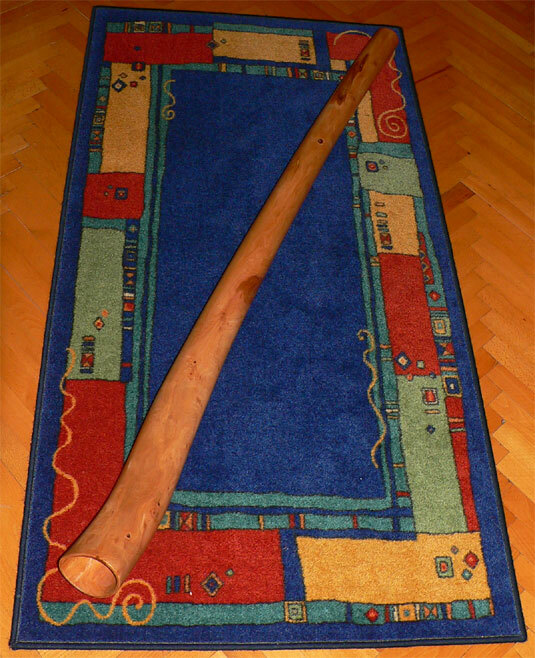 2005 Teplice - "Io canterei d'amor"
21.5. 2005, Decin historic market - "Io canterei d'amor"
18.12.2004, Jilove, castle hall - "Welcome Baby Jesus"
11.12.2004, Horni Police, castle hall - "Welcome Baby Jesus"
28.11.2004, Decin, castle chapel - "Welcome Baby Jesus"
Together with several ansambles led by Karel Dvoracek and gamba players from Vienna we took part on a concert in honour of St. Cecilia. John Dowland: Lute Songs from the Time of Elizabeth I. Thanks to Mirek Havlik we have a video record of the performance. Samples from this record are available here.